Moving Connections is one of the top moving companies in Salt Lake City. 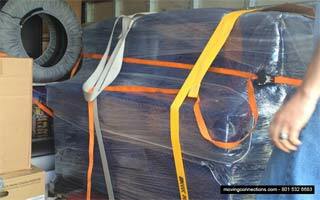 Moving Connections is a professional moving company that has raised the bar for service in the moving industry in Utah. We are a local moving company that has been in the moving and shipping business for more than thirty years. And since we’re based in Salt Lake City, we are responsive to your urgent moving needs. For three decades, as one of the top moving companies, Moving Connections has been providing moving and shipping solutions to residents and businesses along the Wasatch Front. And although we are federally licensed with a federal motor carrier number, and we’re bonded and insured and do interstate moves, our main emphasis is on local moves within the state of Utah. And although we are a relatively small company, Moving Connections provides a wide variety of moving services. Other moving companies might run from the thought of moving your grandfather clocks, grand pianos, or a large crystal chandelier, however Moving Connections stands ready to move these and other fragile and heavy items, and we will handle them the right way, with the right equipment. We at Moving Connections are experienced at residential moves as well as corporate relocations and local office moves. We will do our best to keep your business up and running during the entire move for a seamless transition. Moving Connections also offers various moving options to fit your budget needs. For instance, if you feel good about your packing abilities, you can opt for a "labor only moving help" service, in which you provide the moving truck and driver, and we provide the labor. That is, you can pack many of your household goods yourself, and our professional moving crews will load the items on your truck according to the most rigorous moving industry standards. This can save you time and money. But our most popular service is the $95 per hour full service move, where we do all the packing and loading, as well as the driving to your new location and the unloading. When you consider that Moving Connections has been rated one of the best moving companies in Utah many times over the years you realize what a great moving deal this is. 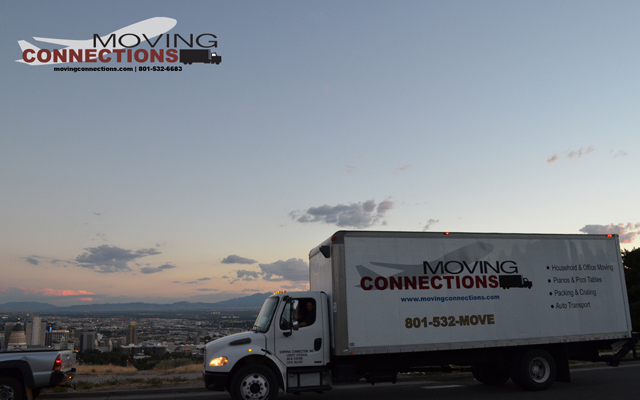 If you’re considering a Salt Lake City residential move or corporate relocation, then give Moving Connections a call, or contact us by email:support@movingconnections.com to get an Get A Moving Quote or to discuss any questions you might have about your American Fork, Utah transition. In fact get your free instant moving estimate either by phone or desktop. Moving Connections is a Moving Company offering an extensive array of moving supplies and packing materials for all your relocation needs. All the right supplies for your household move, storage, office relocation or towing needs. Please review our Price List below and call 801-532-6683 to place your order. Moving Connections will arrive with all the necessary packing materials and carefully pack and label everything, using materials best suited for the task. After delivering all items to your new home, we quickly and efficiently unpack everything you tell us to – your kitchen, bedrooms, living room, even the whole house. All of your items are put away in cupboards, clothes hung in wardrobes. Your entire new home will be set and ready for you to move in. We will take the stress out of moving for you! We give you full service moving in Salt Lake City, which can include carrying, padding, loading and unloading all of your household items for you. Our goal is to offer you quality moving in Salt Lake City at rates that compare with low priced rental truck moving companies, so turn to our company for moving services in Salt Lake City you can count on! We also provide our customers in Salt Lake City with many storage options. Save time, save money, and have peace of mind while moving in Salt Lake City! We also provide our customers in Salt Lake City with many storage options to cater directly to their specific needs. Storage-in-transit is available for your belongins for up to 2 weeks. After 2 weeks, your belongins are transferred to permanent storage. Moving Connections understands if your piano is damaged while it is being moved, you may have to spend a lot of money to repair or replace it. That’s why you need movers in Salt Lake City who know how to move it safely & efficiently. An experienced two-man team of our professionals in Salt Lake City will pick up and deliver your piano in an enclosed moving truck, while securing internal parts by wraping it in pads and moving blankets in order to prevent any damage.